Enhance your theatre experience! Join Associate Artistic Director Rob Lutfy on the patio before the show for a casual chat to learn more about the show. 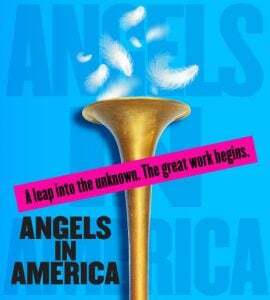 Join Cygnet for a pre-show Wine event begins at 6:00 pm followed by a 7:00 pm performance. "A theatre ticket for the evening's performance is required to attend." 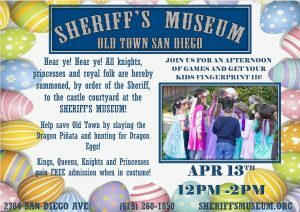 All Nights, princesses and royal folk are hereby summoned, by the order Sheriff, to the castle's courtyard at the Sheriff's Museum. Help save Old Town by slaying the Dragon Pinata and hunting for Dragon Eggs! Queens, Kings, Princesses and Knights gain FREE admission when in costume! Join us for an afternoon of fun & games and get your kids fingerprint ID!